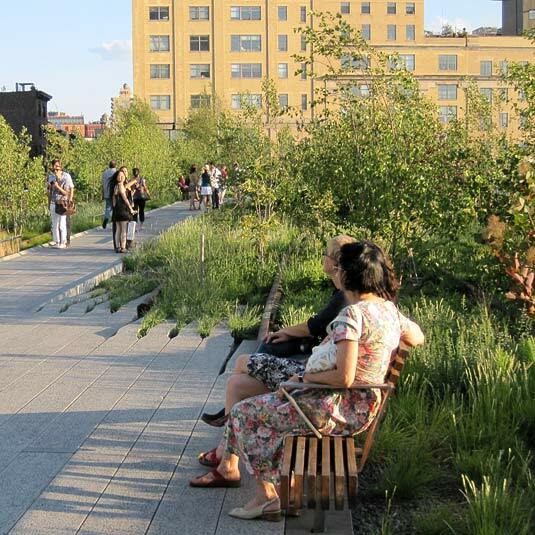 There's good news and bad news for landscape architecture. On the positive side, employment prospects look very strong for the next few years. The National Endowment for the Arts report Artist Employment Projections through 2018 projects a 20% growth rate for the profession (compared with a 10% overall increase in the labor force) - more than for interior designers, architects, graphic designers or the fine arts. Unfortunately, major daily newspaper critical analysis of landscape architecture doesn't appear to be following suit. I discussed this problem last December in Redesigning Designing to Make Room for Landscape, but this new NEA study, notable staff changes at The New York Times and The Washington Post, and recent conversations with well-respected architecture critics Paul Goldberger and James Russell prompted another look at the issue. A quick bit of context: in City Shaping II: Will Architecture Go Horizontal? I noted that landscape architects are increasingly leaders of systems-based urban planning; and, architects feeling threatened/seeing opportunities are trying to grab that market share. This is where significant long term planning is taking place and the public needs/deserves critics who can provide comprehensive and learned assessments. Back in April, the The Washington Post added chief art critic to Philip Kennicott's job description (as culture critic, he also covers architecture). Over at the Times, art critic Michael Kimmelman is taking over from Nicolai Ouroussoff as the paper's architecture critic. I can understand how a former art critic may transition to looking at objects (and vice versa), but what about the systems that underpin the aesthetics - from James Corner Field Operations' innovative use of native plants at the High Line (roughly 80% of the 210 species used in Section 1), to various sustainable landscape features incorporated by Michael Van Valkenburgh Associates into the design of Brooklyn Bridge Park? Kennicott and Kimmelman are smart and able, but can or will they transcend the object-ness of architecture to understand and then write about the complexity of landscape architecture? Or, am I asking for too much here? Former New York Times architecture critic Paul Goldberger said both yes and no to the latter. "I don't think that a separate job is called for. If they are doing a good job they are writing about urban design, landscape design and public space. I prefer to define architecture broadly than to define it narrowly ... A good architecture critic is paying attention," says Goldberger. When pressed about the need to understand the natural and ecological systems that underpin a complex landscape, Goldberger does relent: "I think that is true. I think that it is unfortunate that those things are acknowledged rather than fully explained. They should be afforded greater attention." He also suggests other facets slip below the radar of most critical reviews, such as, "how something was paid for, how it moved through the political arena, or the impact on a neighborhood." 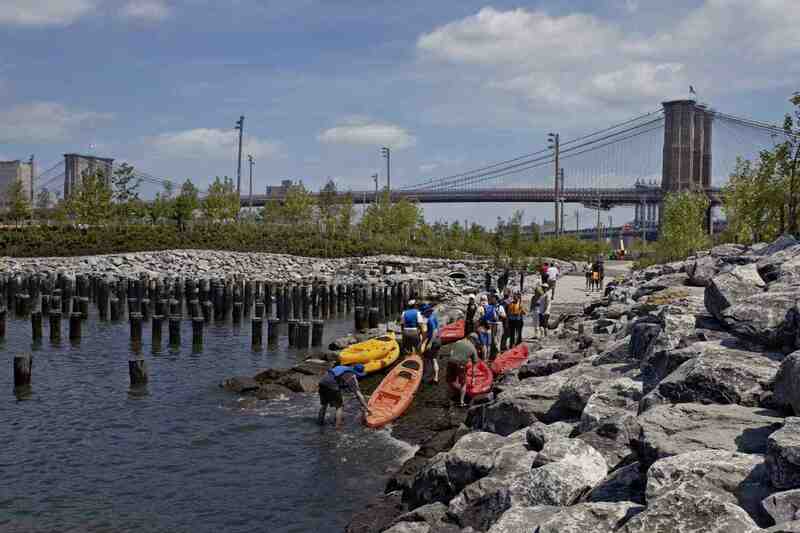 He added, "if you do it well you embrace those things ... certainly in the case of Brooklyn Bridge Park it would make sense for the Times to commission a separate piece on its ecological aspects -- either a critic or a knowledgeable reporter -- that would do fine." James Russell, Bloomberg's U.S. architecture critic, says, "you can't just do the object in a purely aesthetic mode ... you have to give the audience context." The Post continues to cover architecture, but landscape architecture gets short shrift. Consider the recent competition, which involved some to the country's top landscape architecture firms, to redesign President's Park, located between the White House and the Washington Monument. Other than a short AP wire story on the Post's Web site, nothing. If the fate of a major historic building had been in play, we'd have heard about it. Moving from sin of omission to sin of commission, Ouroussof's swansong review for the Times, about Beijing's CCTV building (which he claims "may be the greatest work of architecture built in this century"), may be the sloppiest of wet kisses I've encountered in a long time (get a room!). It's all object all the time. And, he discusses none of the things Goldberger says get overlooked, such as "impact on the neighborhood" (and certainly none of the "political arena" stuff). Dear Mr. Kimmelman, please do better. Bloomberg's Russell said, "I moved to New York when [then New York Times architecture critic] Ada Louise [Huxtable] was running the show. She was really talking about the city and always has. She brings in developers and what they do and what the city looks like. It is the skyline and the big picture that is at stake. Whether you agree or disagree, this was her big step." He went on to say, "we remember architecture critics fondly because they wrote about the city and not objects. Today they need to write about how cities are changing from environmental design to architecture." To borrow a phrase from another contemporary debate, it's time for this arena of criticism to "evolve already." NOTE: James Corner, Michael Van Valkenburgh and other notable landscape architects will be participants in the Second Wave of Modernism II: Landscape Complexity and Transformation conference at New York's Museum of Modern Art November 18, 2011.